There are some that believe to give means having nothing left for yourself. The error in this thinking is that no one can make any real impact if they are giving from an empty cup. This is why one must fill their cup first, before being able to give to others. This week’s questions address the value of investing in YOURSELF — not only for you but everyone around you. How can I best help my neighbor? I only make $15 an hour. How could I give to others or spend on myself? Is it selfish to spend money on myself? Is there a formula for investing in myself? 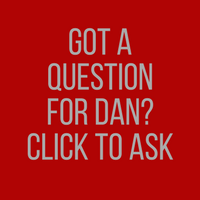 In this episode, Dan addresses the theme of loving your neighbor as yourself. There are some that believe to give means having nothing left for yourself. The error in this thinking is that no one can make any real impact if they are giving from an empty cup. This is why Dan believes one must fill their cup first, before being able to give to others. Tune-in to learn the incredible value of investing in YOURSELF. 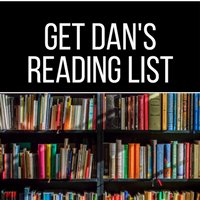 You’ll hear how much you should be spending to improve yourself each month and you’ll also see how Dan turned his investment of $15 dollars as a 13-year-old boy into the 48 Days success that exists today. [spp-timestamp time=”05:33″] – The 48 Days Eagles site – Check out the inside of the 48 Days Eagles Community! 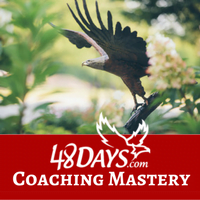 22:15 – What are 3 things you do now to invest in your personal growth? 35:05 – How would you like to treat your neighbor? 35:31 – Are you treating yourself the same way? One rule that is proven to help you succeed is investing at least 3% of your income on yourself. You can’t add any real value to others if you don’t value yourself first. Fill your cup so that you can give freely to others. The 48 Days Eagles site – Check out the inside of the 48 Days Eagles Community! The podcast timestamps are now clickable. Just go to any 48 Days Podcast and click on the timestamp of your interest. You will instantly be taken to that portion of the audio podcast. What are you expecting of yourself?